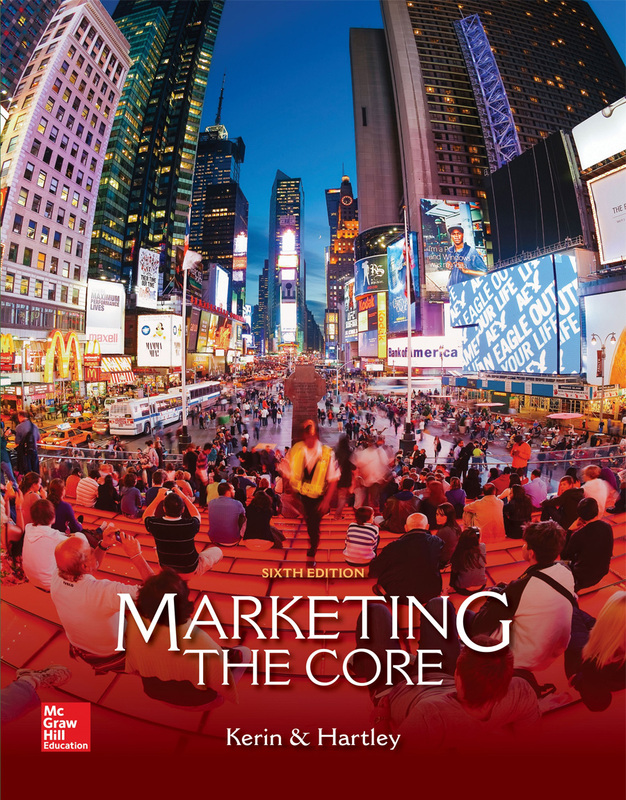 Marketing: The Core, 6e by Kerin and Hartley continues a tradition of leading the market with contemporary, cutting-edge content presented in a conversational student-oriented style, supported by the most comprehensive, innovative, and useful supplement package available. This text and package is designed to meet the needs of a wide spectrum of faculty: from the professor who just wants a good textbook and a few key supplements, to the professor who wants a top-notch fully integrated multimedia program. Marketing: The Core utilizes a unique, innovative, and effective pedagogical approach developed by the authors through the integration of their combined classroom, college, and university experiences. The elements of this approach have been the foundation for each edition of Marketing: The Core and serve as the core of the text and its supplements as they evolve and adapt to changes in student learning styles, the growth of the marketing discipline, and the development of new instructional technologies.